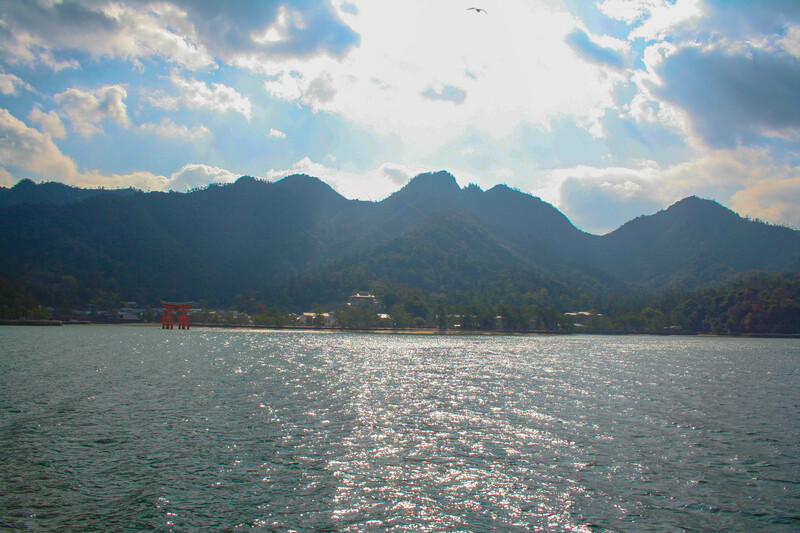 On our second day in Japan, we took the ferry to Miyajima. 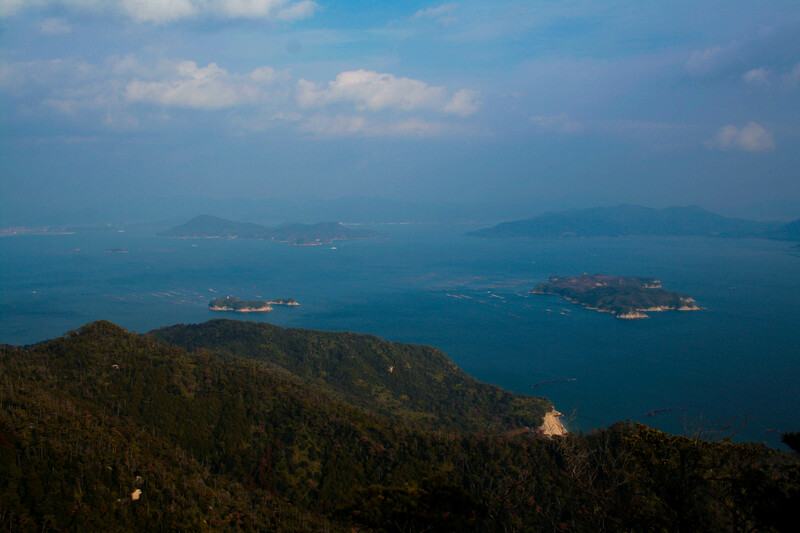 I was told that the island was a must see, but that the only way to the island is by ferry. I was really nervous because I suffer from motion sickness. Fortunately, the ferry trip only lasted about 10 minutes. 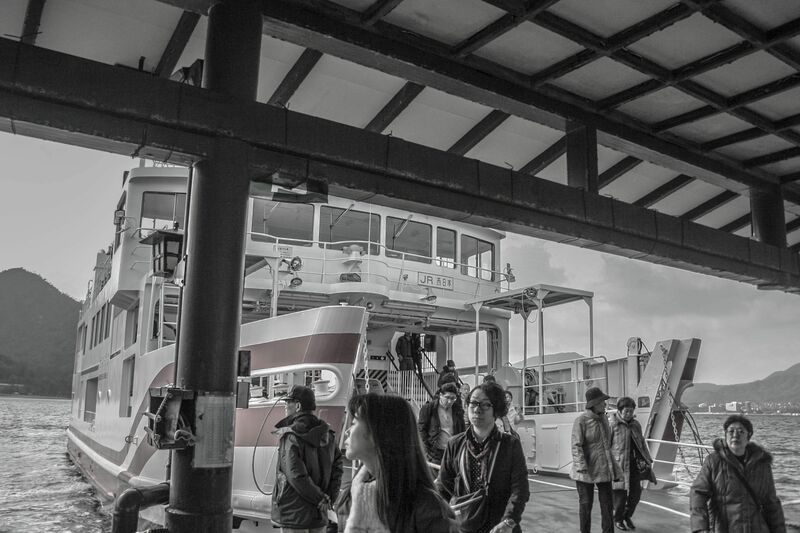 We were able to use our JR rail passes on the train to the ferry station and on the ferry so we were really happy about that! 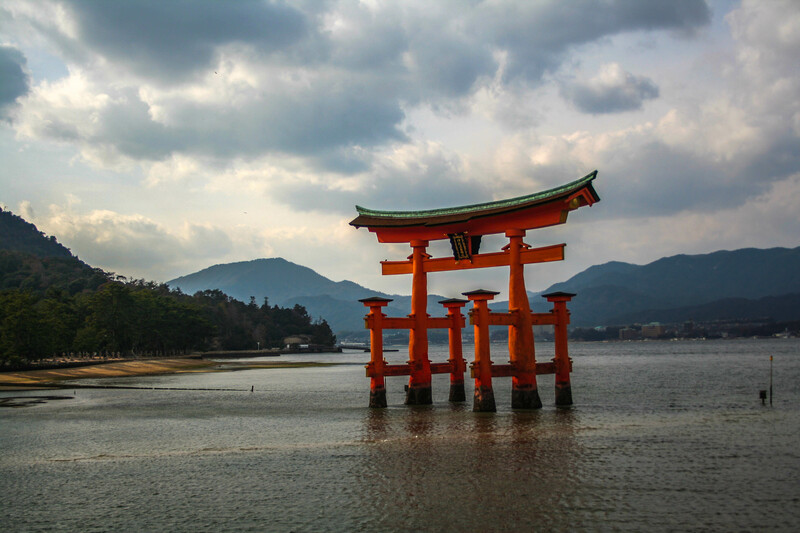 The island is famous for its Floating Torii gate. It gets that name because during high tide it appears to be floating in the water. 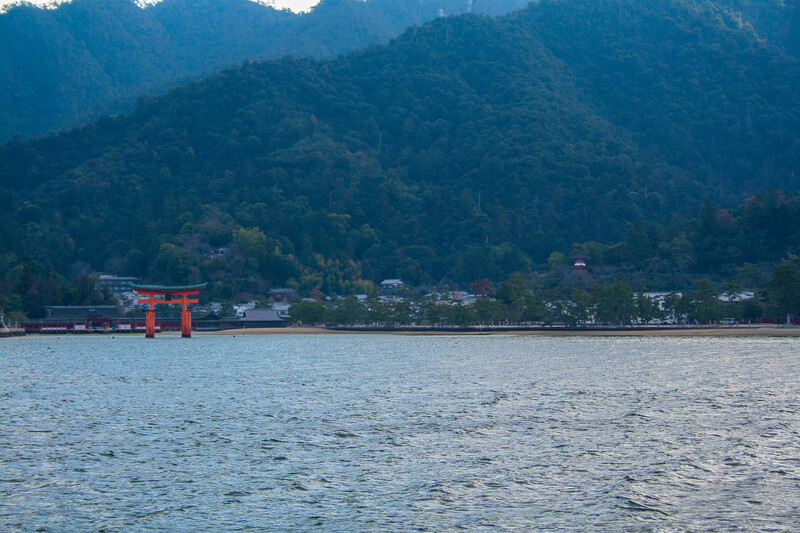 We had a nice view of the signature orange gate from the ferry. Click on the photos below to see the full size image. 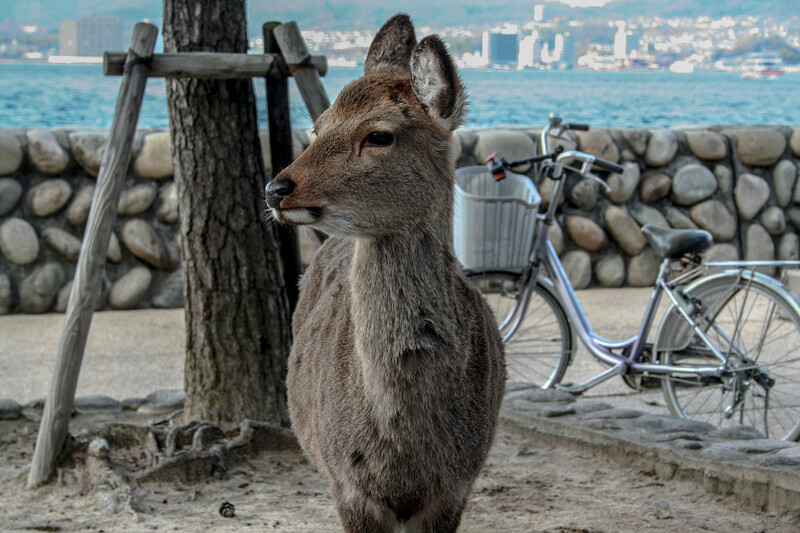 One of the first things Faith and I noticed about the island were the wild deer roaming around. Be warned. They are not as sweet as they look! 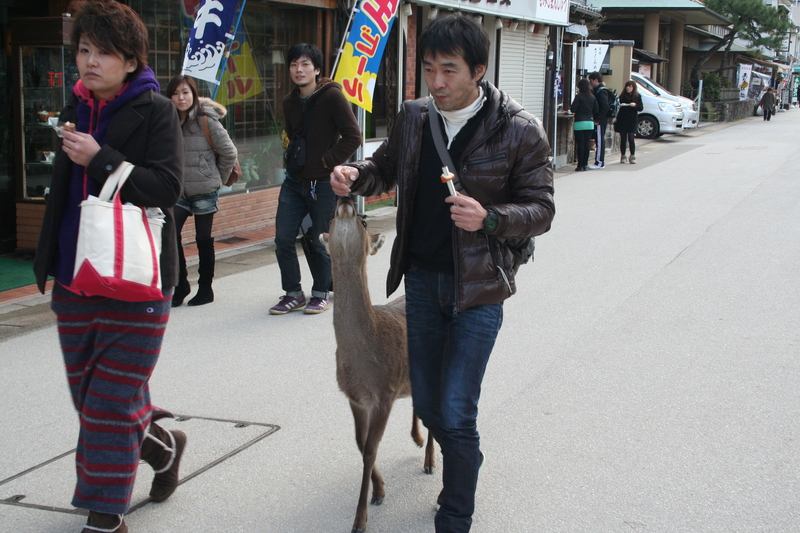 This deer wouldn’t take no for an answer as this man ate his fishcake on a stick. I’m fairly certain I found it much more amusing than he did! 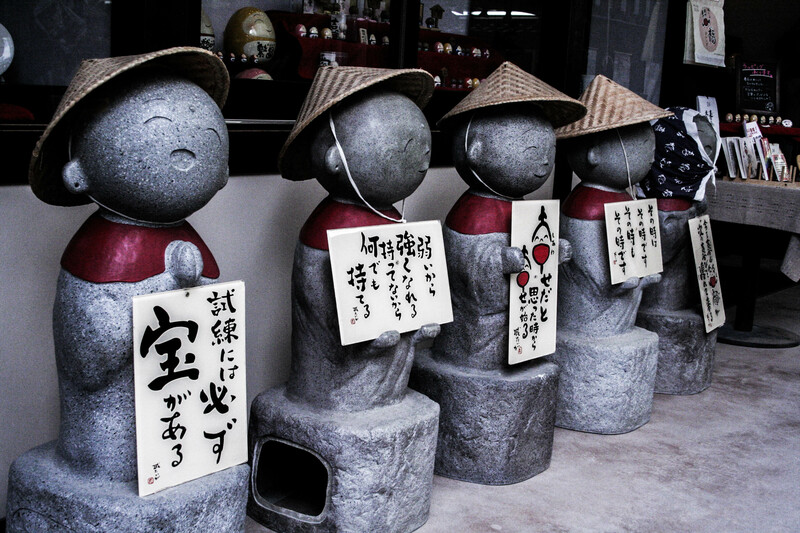 One of my favorite parts of the day were the cute little shops on the island. 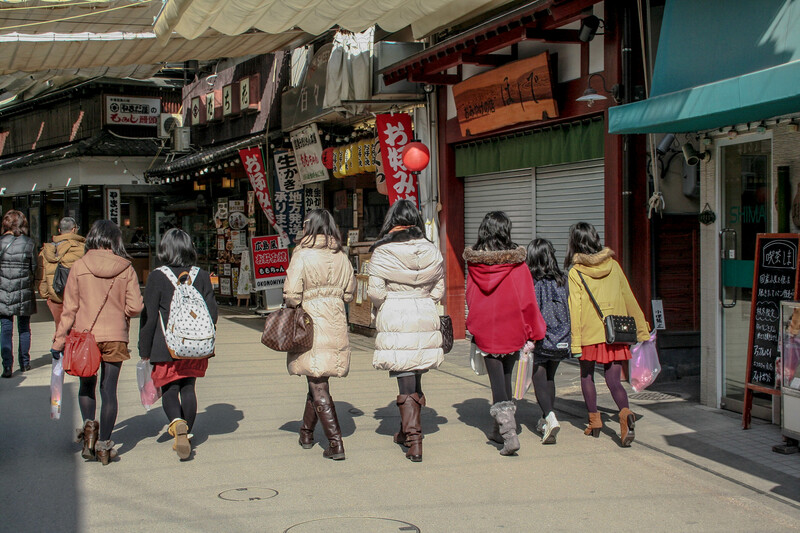 Most of them sold the same little souvenirs, but I could have looked through those shops for hours and hours. 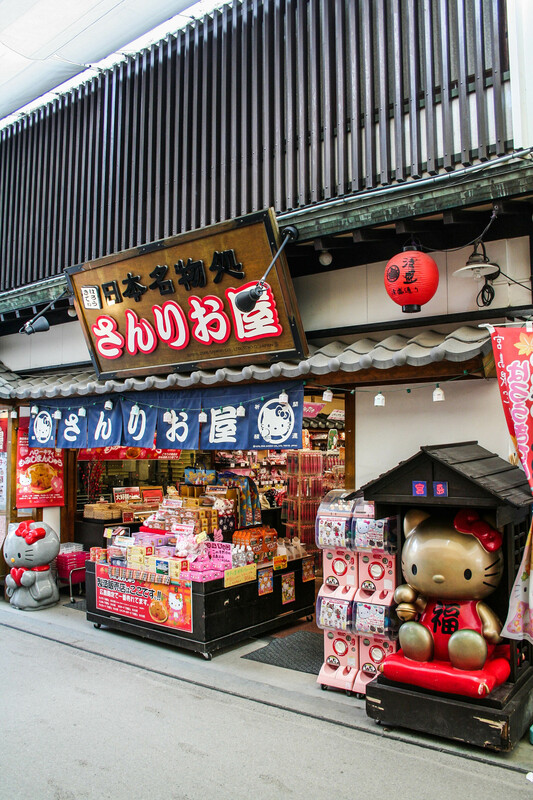 They even had a Sanrio store on the island! 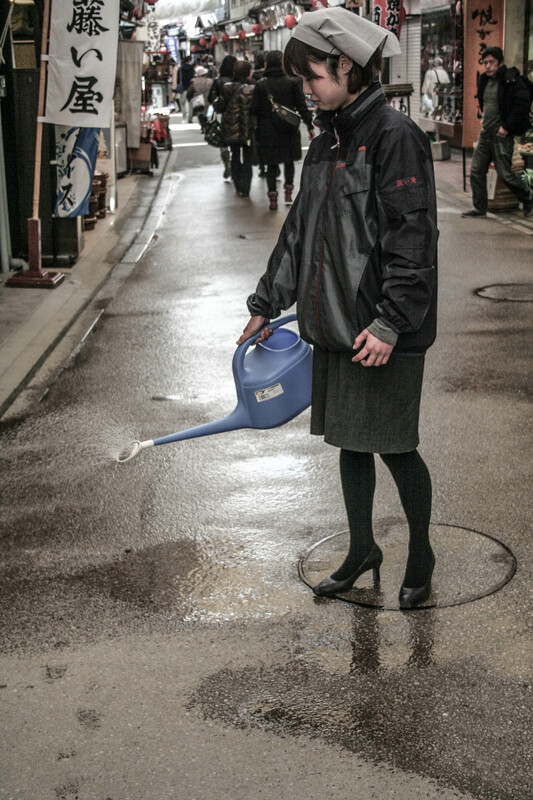 And this woman was watering the walkway…. as you do. 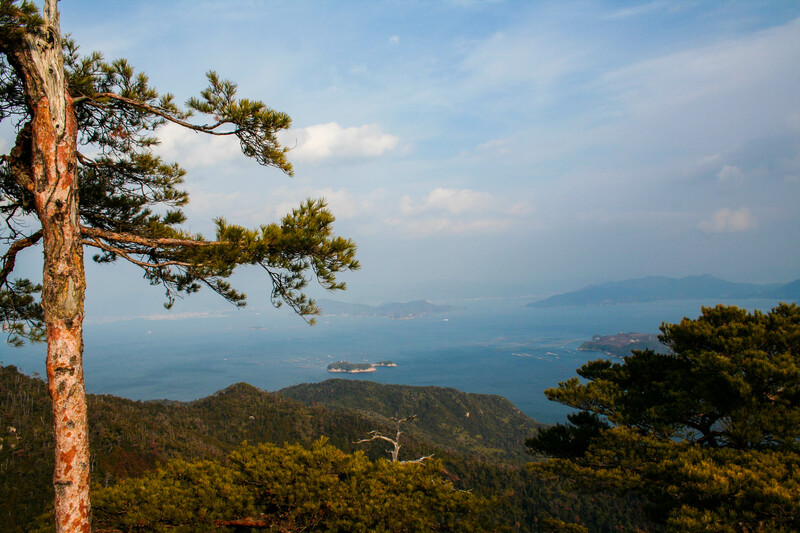 Once we got past the shops, we were able to take in the beauty of the island. 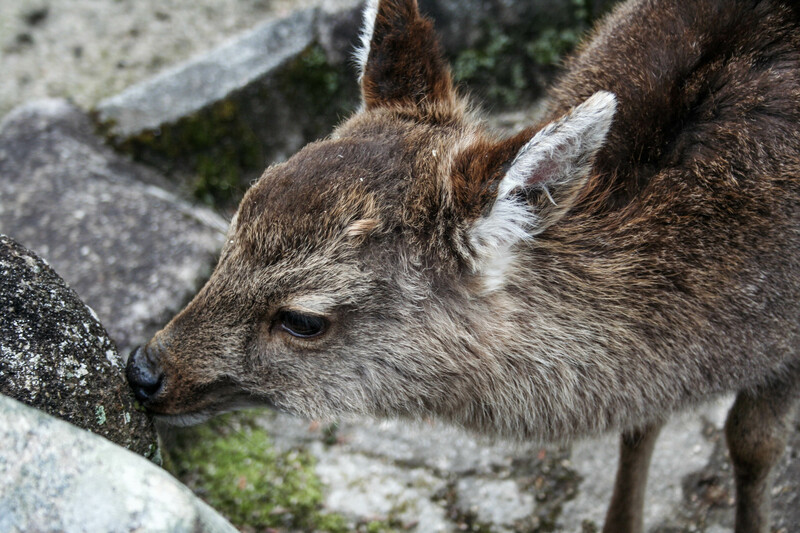 … the deer will steal and eat your things. 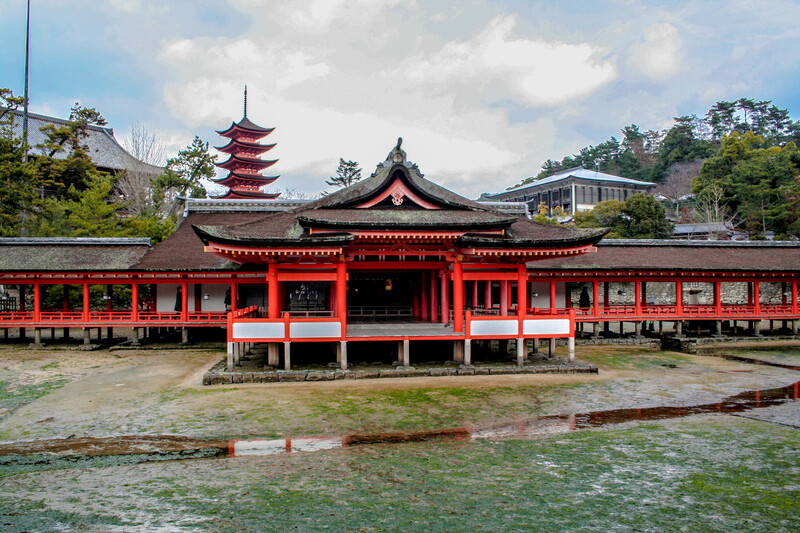 Next, we visited the Itsukushima Shrine. Unfortunately, it wasn’t the right time of day so the tide was out. But it was still really pretty! 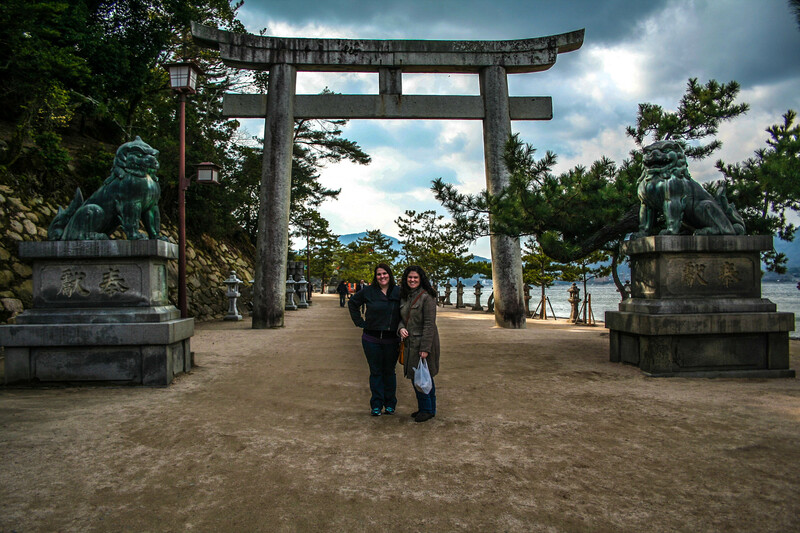 And there were great views of the floating torii gate. 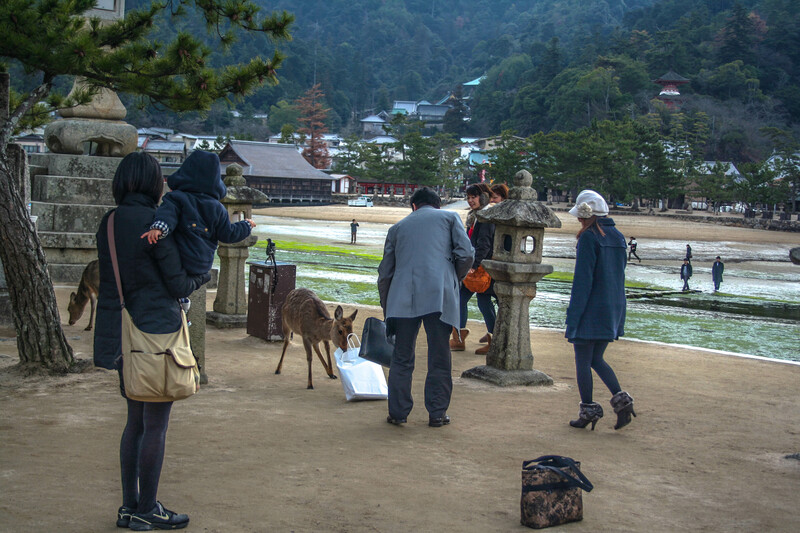 Later, we explored more of the island and came across a family of deer. 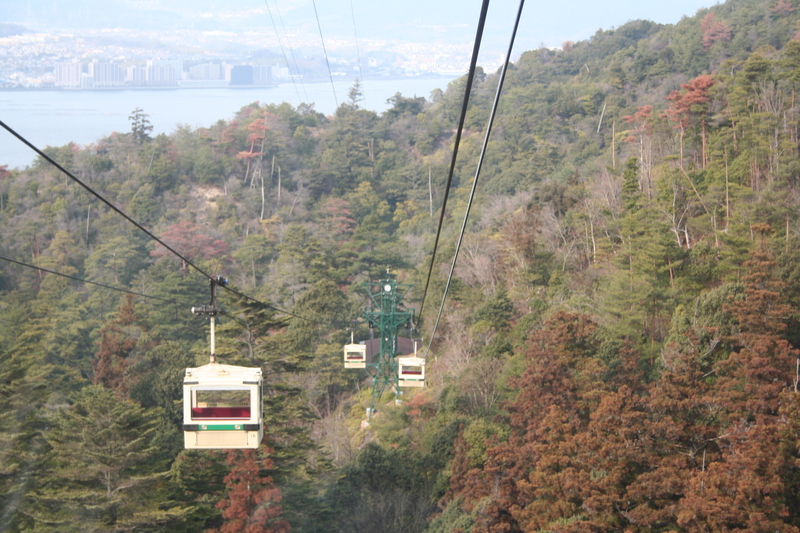 We went up the mountains in a cable car. I was pretty terrified and was really bummed that once we got off the cable car, it was only a transfer station so we actually had to change cars and continue further up into the mountains! 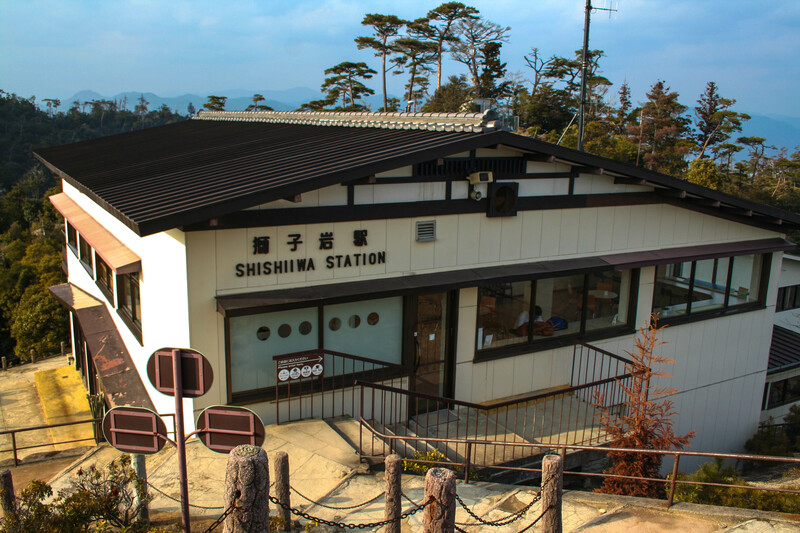 We finally reached Shishiiwa Station. 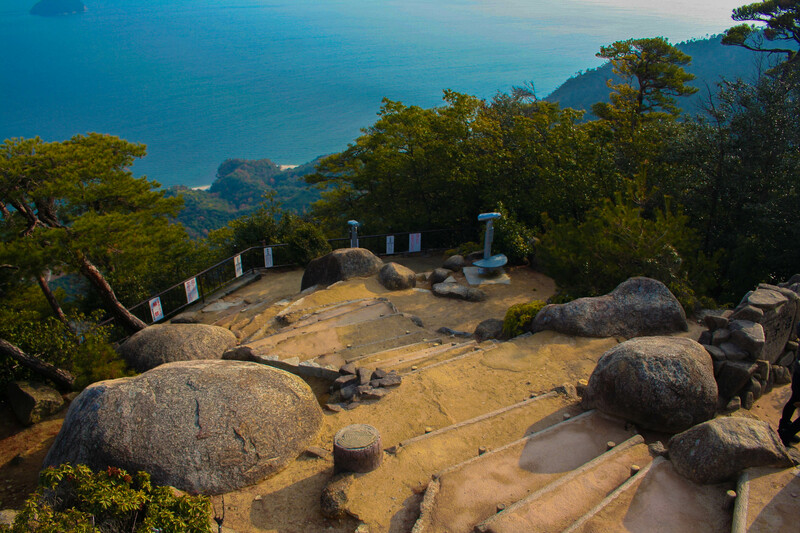 The views at the top made the trip worthwhile! It was a long day, but so amazing! 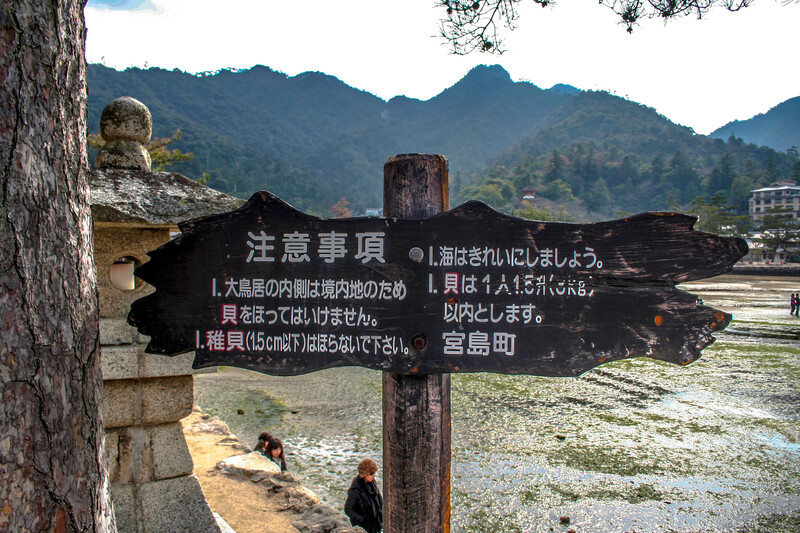 If you’re ever in Hiroshima, be sure to make a trip to Miyajima. You won’t regret it! All photos taken by Faith and edited by me. 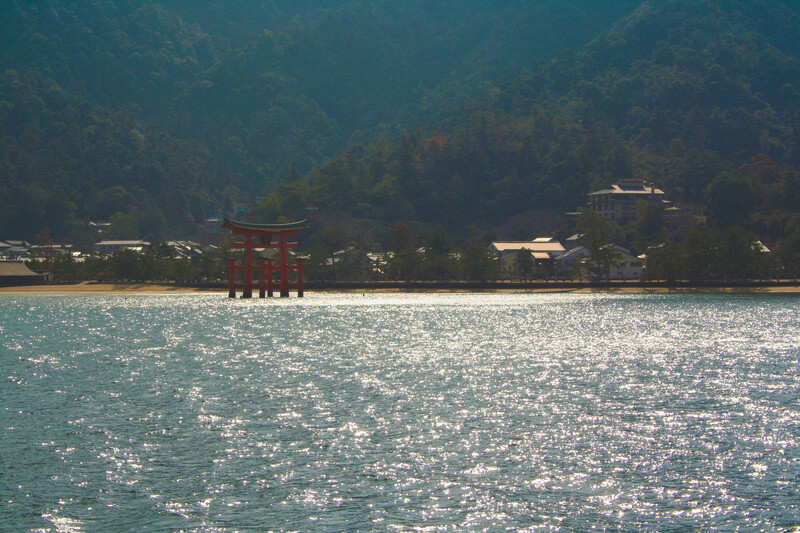 This entry was posted in Japan and tagged cable car, deer, editing, ferry, Hiroshima, Japan, JR, LR4, Miyajima, photography, photoshop, shrine, torii by Meagan & Dave | HappilyEverExpat.com. Bookmark the permalink. Thanks! I’m only responsible for the editing, but I’m happy with the results. Thanks for checking out my blog.